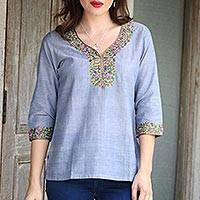 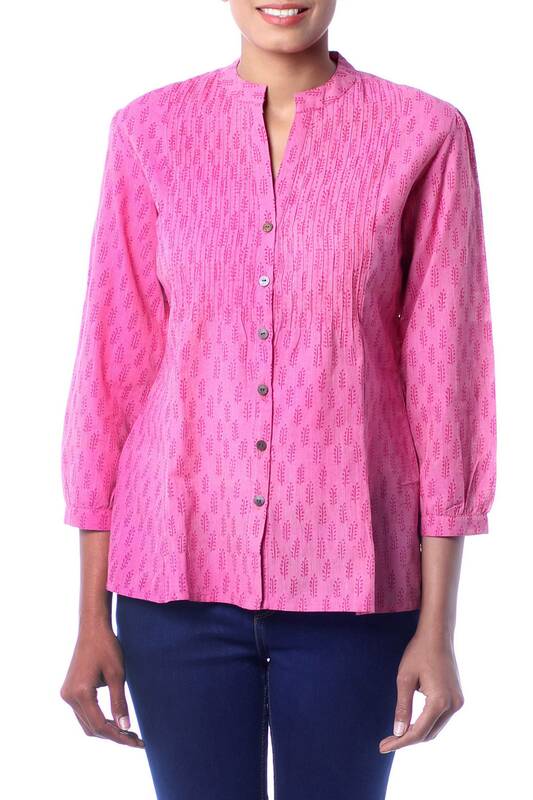 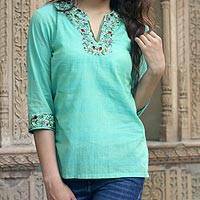 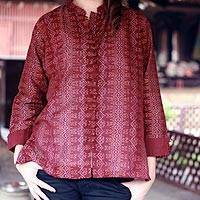 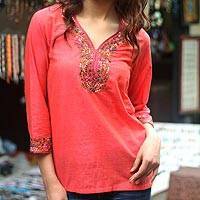 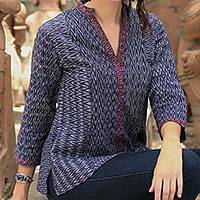 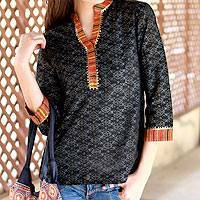 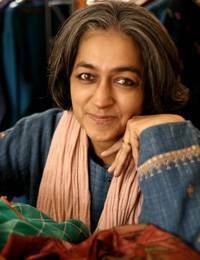 India's legendary Mangalgiri cotton, woven by hand in Andhra Pradesh, becomes a beautiful blouse by Ritu Agnihotri. 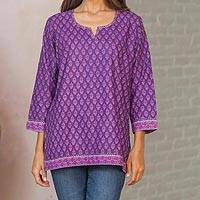 Featuring leafy motifs created with the block print technique, the tunic boasts a mandarin collar and pin tucks accentuated with kantha running stitch embroidery. 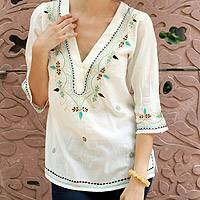 The top fastens with coconut shell buttones.